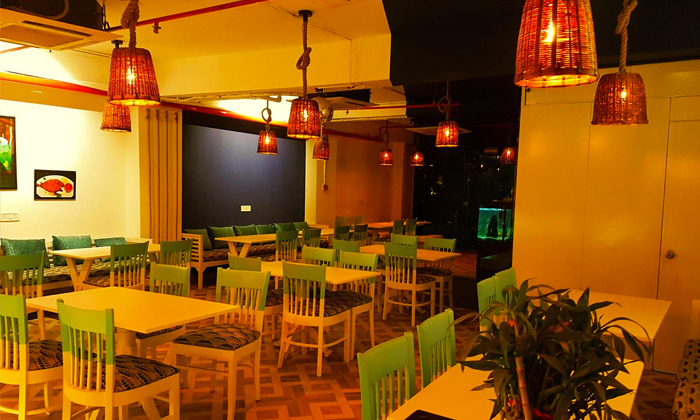 Located in Rajouri Garden, Desee Dakshin specializes in North Indian and Seafood Cuisine. The blue lit ambiance soothes the mood of the diners and offers its guests a fine dining experience. The menu offers a large collection of food and drinks for the guests to enjoy.